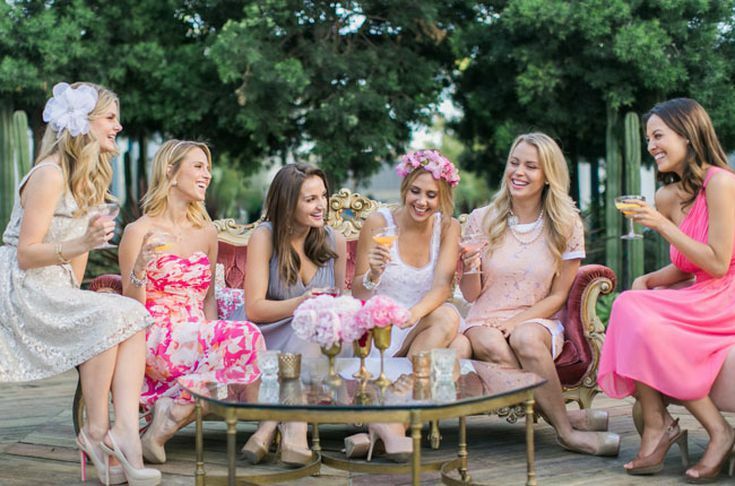 A bridal shower is a fun and celebratory party for someone who’s going to tie the knot soon. It is usually thrown by the bride’s maid of honor, though it is also customary these days for the bride’s family to host the party. This is also a practical opportunity for guests and the bride’s friends and families to shower her with attention, pamper her, and give her presents. Are you a maid of honor planning a bridal shower for your sister, cousin, friend, or relative? Before planning a party in honor of the bride, you must first ask the bride if she wants to have one. Some brides are uncomfortable about having a party thrown in their honor because they feel greedy asking their friends to buy gifts for them or shell out money for the party. Some also don’t like the attention because they feel smothered. If the bride says yes and she wants to have a bridal shower, then, by all means, go and throw a party for her before she leaves the single life. You can either surprise her with a bridal shower or you can let her know that you’re throwing a party. Either way, you’re going to have to spend a little more money than a simple dinner would require from you. Who should you invite for the party? You need to know from the bride who she wants to see during her bridal shower. If it’s not a surprise party, then she will be willing to disclose the information to you. However, the problem is if it’s a surprise party. How would you know who she likes to see there? Well, this is where the groom must come in. Since the bride is spending her time with him for the wedding preparations, he has the perfect opportunity to ask the bride about her “dream bridal shower.” He can share this information with you and you will have to directly contact each individual. Normally, it is the maid of honor who pays for the whole party. That is if it’s a casual party and only appetizers and some drinks will be served. But if it’s a more formal and lavish party, the maid of honor can ask the rest of the guests to pay for their own food and drinks. The guests can even be asked to bring a present from the bride, either from the registry created by the bride or something they think the bride will like. If there are plenty of out-of-town guests, then the bridal shower must be held closer to the wedding date when everyone is in town already. But remember not to hold it too close to the actual date because that will add more stress for the bride. She must be relaxing and having a massage days before the wedding date. 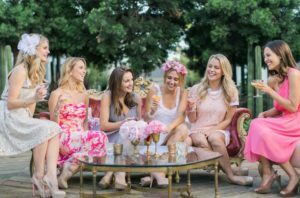 Holding the bridal shower six to eight weeks before the wedding date is usually a good rule of thumb. It adds anticipation but it does not stress the bride. The food that you will serve at your wedding will be one of the main topics of conversation among your guests. That’s why brides are always pressured to provide the best food for their party guests. Some brides are lucky to have a wedding venue that provides on-site caterer while other brides need to find a separate caterer. 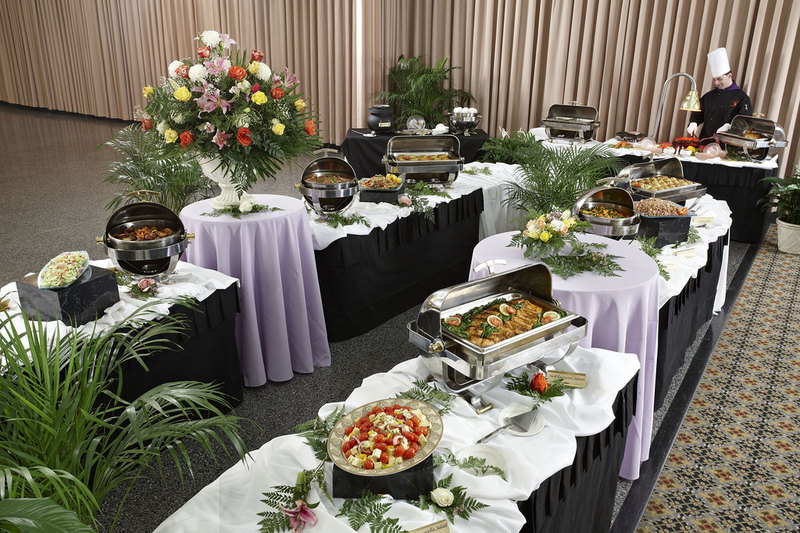 You can make a shortlist of caterers depending on your budget. If you know you cannot afford a particular caterer, then don’t email that company. Figure out how much you can spend on food and drinks—from the appetizers to the cocktails. When you provide your caterer with your budget, they can personalize and tailor-fit the menu for you. Most venues will have a list of preferred vendors and suppliers. Ask your venue if they have caterers they can recommend to you. If the venue management and caterer know each other, there’s a big chance that they will work more harmoniously. You must be able to compare and contrast the cost, and the only way you can do that is to get multiple proposals from different caterers. You can then differentiate the menu, the service, and the prices. It is also important to provide the caterer the final headcount of your guests, so they know how much they should prepare in terms of food and how many people they need to deploy to your venue. Your venue might not provide tables, chairs, linens, and dinnerware. If that is the deal, you need to ask your caterer to provide these items. This may cost an extra fee, but maybe you can negotiate well with the caterer. How the food taste is the most critical part of a caterer’s job, but how they treat their clients is even more important. If the company is slow at getting back to you with the information you need, maybe they are not the right caterer for you. Consider crossing them off the list of your preferred suppliers. Now that you have a shortlist of caterers, you can schedule food tasting with each of the service providers. You cannot sign the contract without having a sample of their food. After all, they are going to serve this to your guests, so you have to know how delicious (or not) it is. This is one of the first steps you need to take when choosing a caterer—read reviews about the company you want to hire because these testimonials would tell you a lot of things about the quality of the food and the service. Read the contract thoroughly and as soon as you understood every little detail, sign on the dotted line. After that, choose your menu and coordinate the motif of your wedding and other details the caterer needs to know. It’s important to always work as early as possible to give yourself more time to deal with future problems (as they arise).